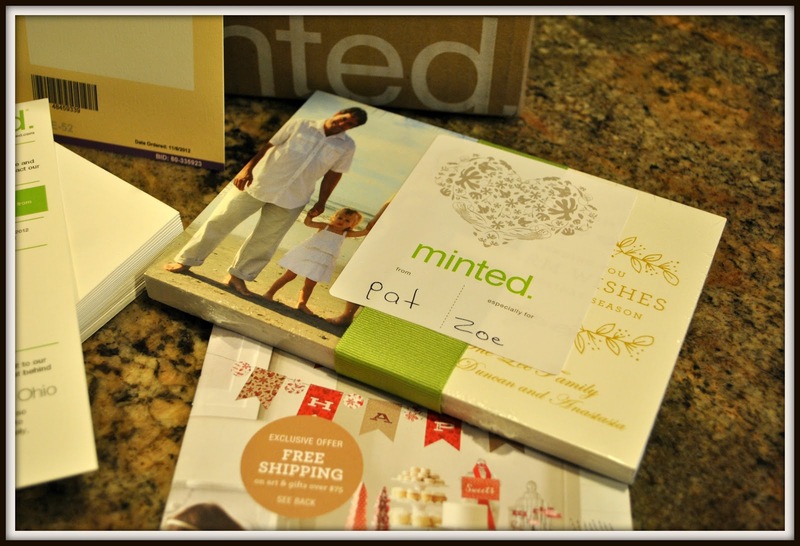 Everything for Ana: 6000 Fan Giveaway Day 1 : Minted $50 Giveaway and Review! 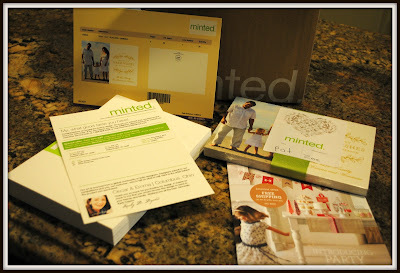 6000 Fan Giveaway Day 1 : Minted $50 Giveaway and Review! and Welcome to Day 1 of the 6000 Facebook Fan Giveaway and Holiday Celebration with Everything For Ana. 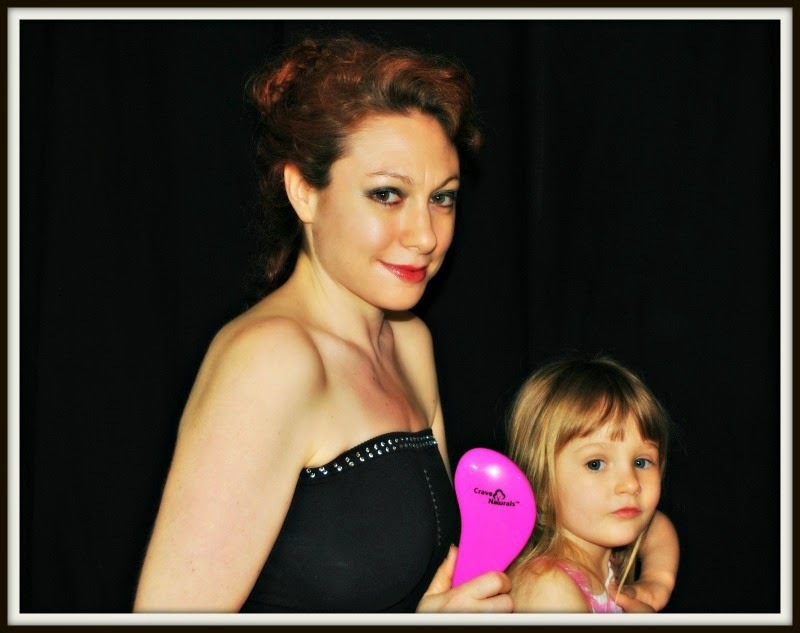 I am so excited to hit 6000 fans on facebook, and have some great sponsors. First up for review and a giveaway is Minted.com. 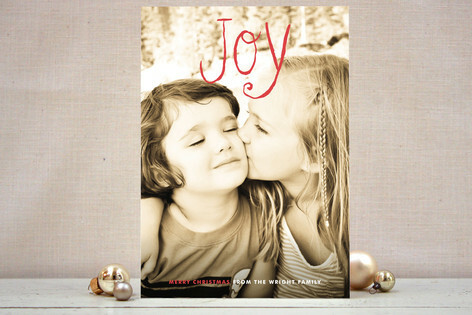 Minted is a fabulous online store and global community of independent graphic designers. They hold monthly design challenges for stationery, invitations and calendars among other categories. The best thing about Minted is that all graphic designers are welcome to enter. The winning designers earn cash prizes, a place in the Minted collection and commissions on all sales of their designs. Minted was started in 2007 and the very first contest was run in April of 2008. I absolutely love this site for all kinds of cards and beautiful party decor. It is easy to use, has beautiful, creative templates and arrives quickly. 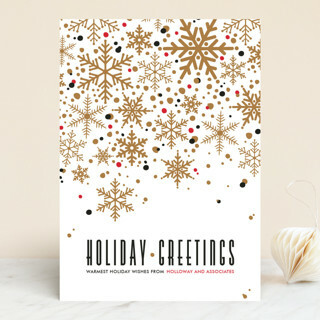 I made my holiday cards recently and they already arrived. And, they arrived in style! All of this was in the box and my cards look gorgeous! I love the way the cards came packaged. Wrapped in a ribbon with the and with a pretty sticker, in plastic so as not to damage the cards. 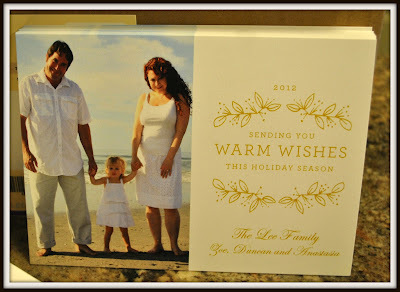 The card stock and envelopes are heavy stock and are lovely, really great quality. 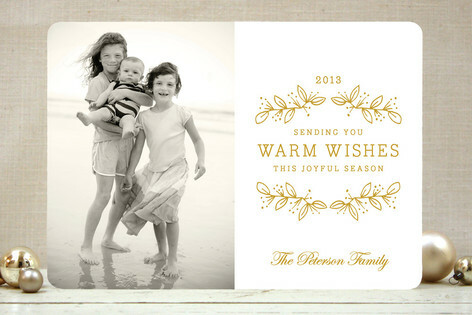 Check out Minted.com and make your own! I love them. Simple, but elegant and gorgeous. Gold/white for holiday but not too schticky or christmassy for my non Christian friends. 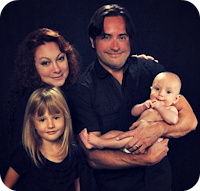 One of the best features of the site is you can upload your photo and they show you how it looks on all of the designs before you choose one. Makes it super easy and fun to choose. Though there are so many choices it is hard to pick. It covers it all: Happy Everything! Check back daily this week for more great sponsors and gifties for Holiday 2012! I cannot wait!! I love Minted! 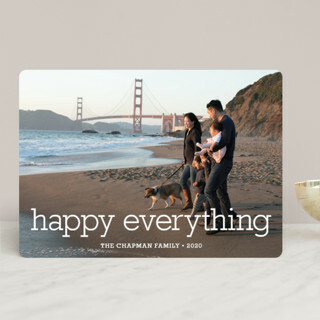 Especially the Big and Merry Holiday Photo Card. I haven;t tried Minted for printing anything yet But I would like to win so that I could change that. 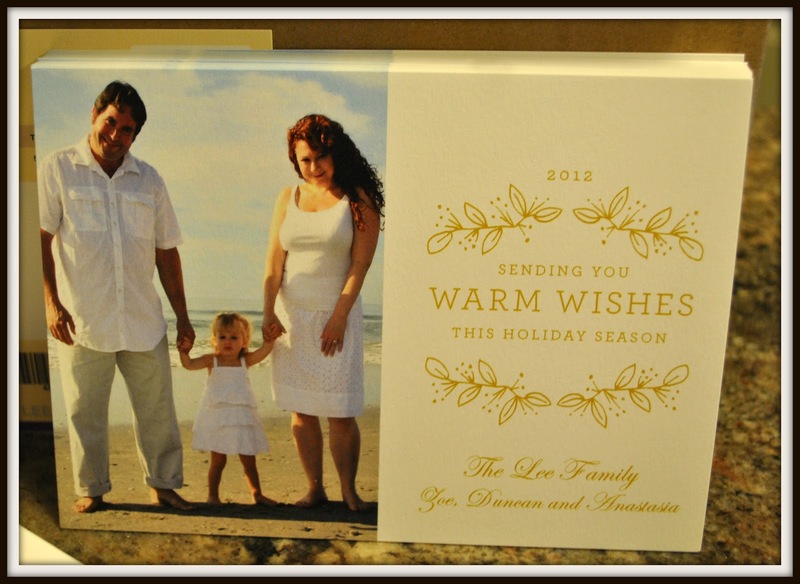 Just ordered my first set of cards like this... not from minted - was extremely pleased and would love to try minted. The Big and Merry card is lovely! 6000 Fan Giveaway : Day 6 Goodskin Labs products!